AMAZING City Views! 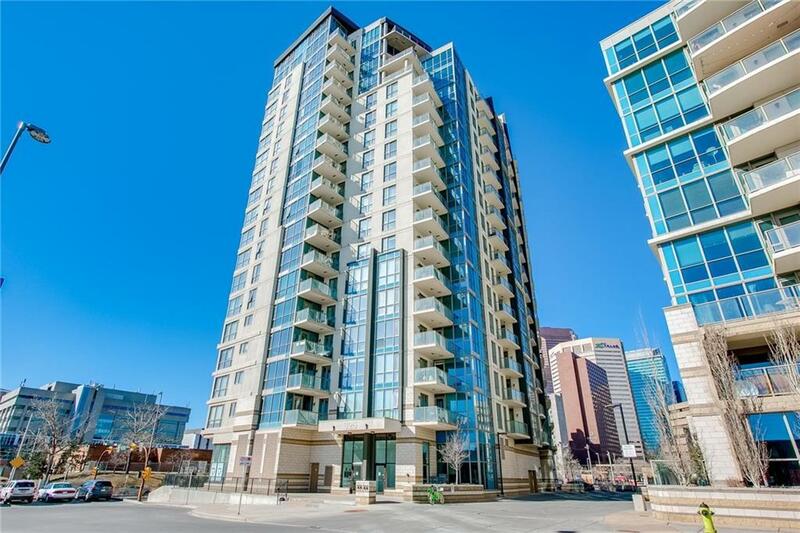 Welcome to this Beautiful Corner Unit (2 Bedrooms, 2 Full Baths) in 16th floor offering Gorgeous Unobstructed Down Town & Bow River Views from your very own Private Large South-Facing Balcony. The living room and two bedrooms offer beautiful LAMINATED Flooring. Upon Entering is a Kitchen w/ Granite Counters, S/S Appliances, Ample Cabinet Space & Dining Rm. 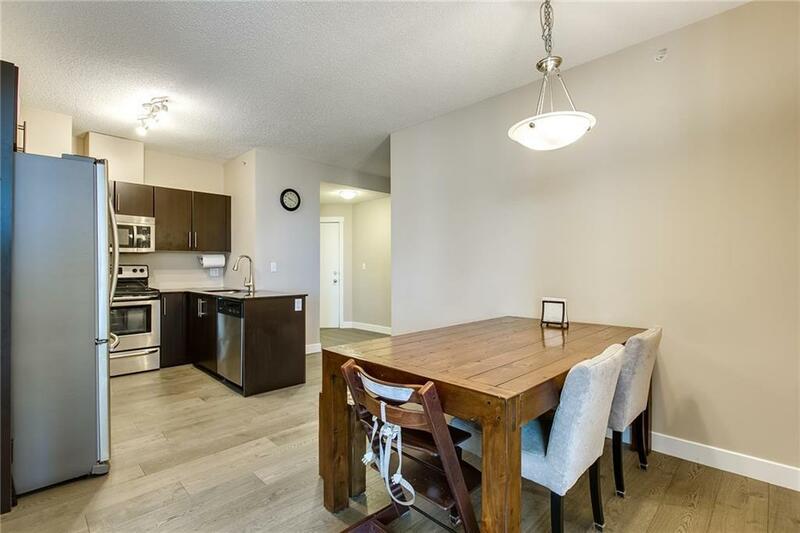 Large Living Room w/ Access to the Balcony & Floor to Ceiling Windows Gives the Unit Tons of Natural Light. 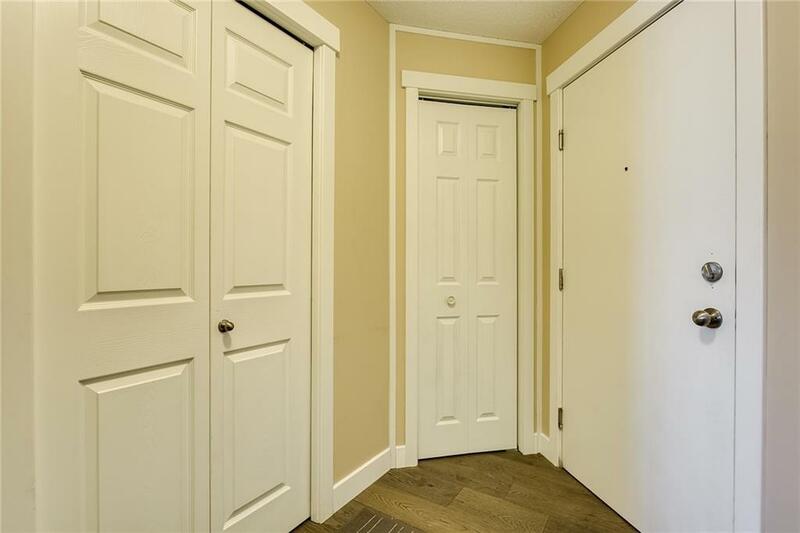 Theres a Master Bedroom w/ 4 pc Ensuite, Spacious 2nd Bedroom, & 4 pc Main Bath w/ Ensuite Laundry Rm. Features Underground TITLED Parking. Building Amenities Include Secure Visitor Parking, Bicycle Storage (Main Level), Recreational Room (Level 4) & Common Outdoor Patio. 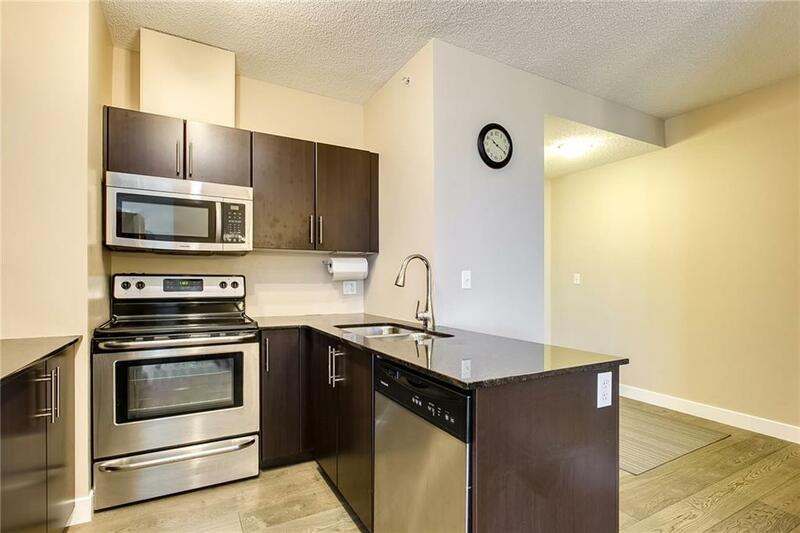 Walk to Work & Enjoy Nearby Amenities such as Beautiful Riverfront Paths & Parks, Eau Claire Market, Bike Paths, Central Public Library, Studio Bell, Chinatown, YMCA, & Shopping. Do not miss this chance to live Inner City!